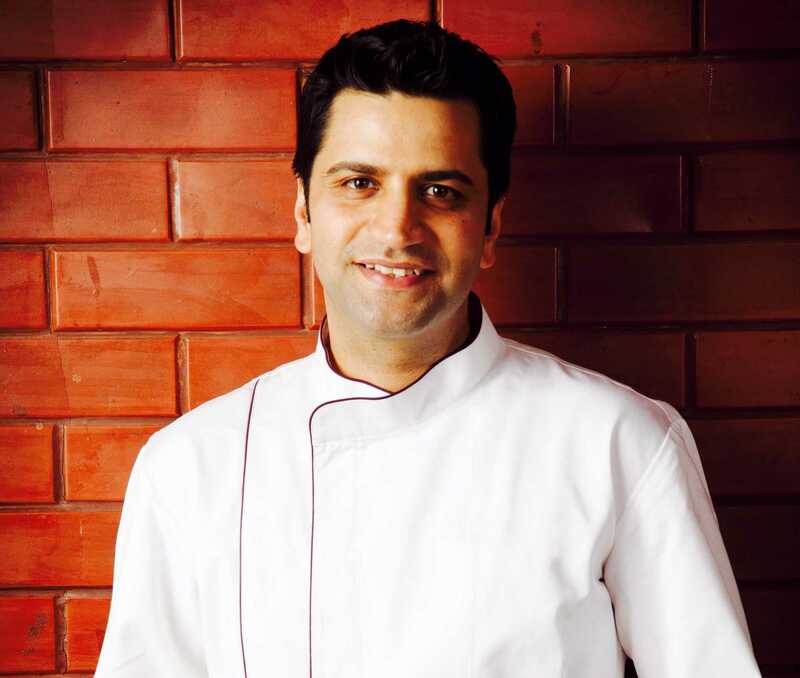 Chef Kunal Kapur is a well-recognized Indian celebrity chef, restaurateur, and media personality known for his food-focused television shows, cookbook and favourite with political dignitaries. He presented saatvik cuisine to Prime Minister Narendra Modi and German Chancellor Angela Merkel. He also cooked for 42 first ladies on the India Africa Summit besides an interactive cooking session with them during their recent visit to India. His most recent venture has been the launch of his fine-dining restaurant ‘Patiala by Kunal Kapur’, at Souk al Bahar in Dubai. Winner of several culinary & television awards, Kunal would have been a banker had his father put his foot down, but the celebrity chef and host of Masterchef India confesses, "Numbers were not my game. I got admission in Delhi University in Commerce but my heart was just not into it. I knew this was not what I wanted to do but had no clue about what is it that I wanted to do. A friend of mine wanted to pursue hotel management so I joined along and soon after realized that it is a really tough industry. However, having rebelled already, I couldn’t really quit and go back to my dad. So I thought I’ll take it like a 3 year vacation and then see. As it happened, eventually I realised that I loved cooking and I wanted to be a chef." Chef Kunal insists that his real training happened outside college and says, "Even when I became a chef, I kept my experiential training on through my travel. 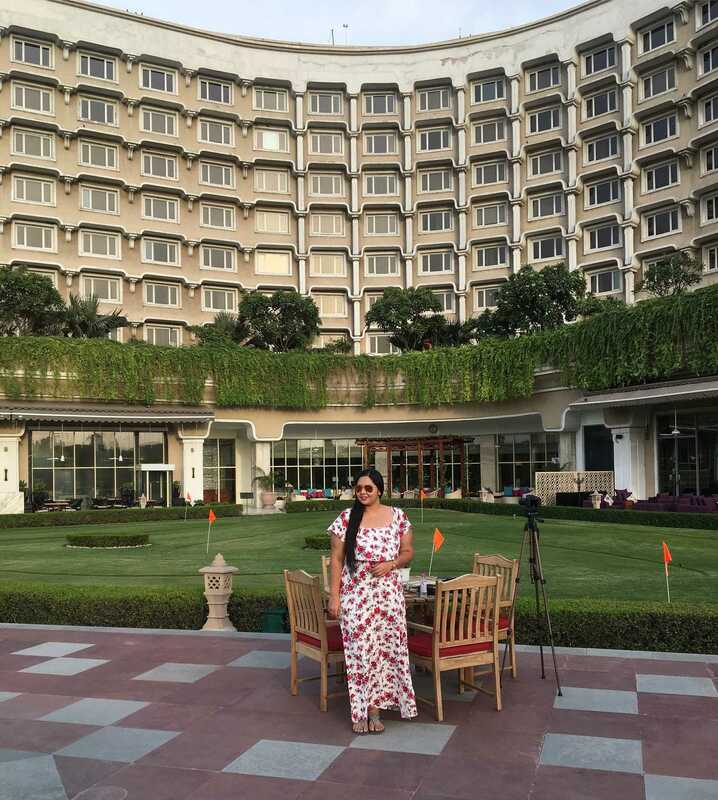 Also taking time out of my job and learning from home chefs especially women has been one of the best trainings and learnings for me as a chef." A typical Punjabi, Chef Kunal loves the regular food cooked in a North-Indian kitchen. "I love home made fresh paneer in all forms. As a child, I would eat it while the paneer or chenna as we call it was still warm with sugar sprinkled over it. I would help my mother tie thechenna in a chunni to drain out the water. I also love the very traditional mango pickle - a staple item in every North Indian home. My mom makes this amazing karele ki subzi that I am very fond of too. If cooked properly, karela is one of the tastiest and healthiest vegetable to have," says Chef Kunal when asked about his favourite Indian dishes. Chef Kunal loves to experiment with food and says, "Cooking complex recipes may give the 'wow effect' but at the same time cooking simple recipes with subtle innovations makes for some great dishes. I love to innovate a dish and bring it back with a twist. So I have created a dish with Creamy chenna served on a crispy baguette topped with orange marmalade chutney." Method: Bring the milk to a boil and as it begins to boil, add the lemon juice and stir till the whey separates. Drain the whey from the lumpy chenna and tie the chenna in a fine muslin cloth to drain the remaining whey out. Once the liquid is drained, whisk the chenna with cream and add a pinch of salt. For the chutney, cook all the ingredients in a pan for 5 minutes. 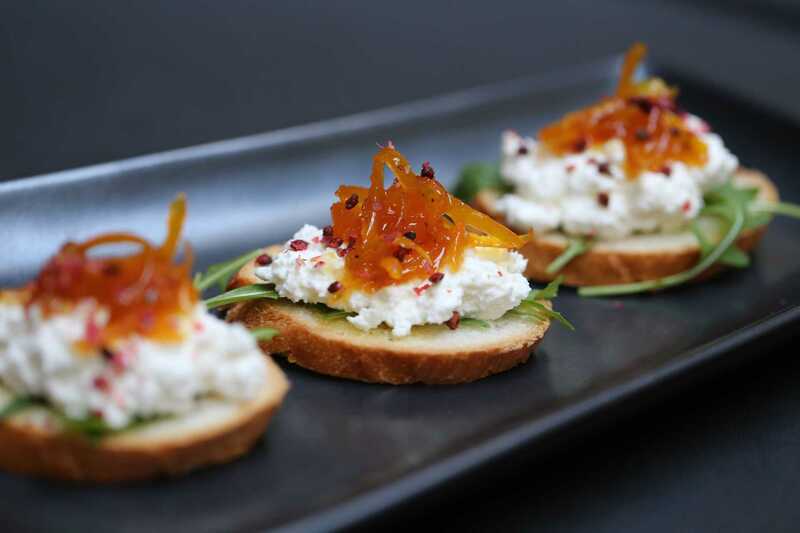 Spread some chenna on the toasted bread and top with the Orange Marmalade Chutney. Garnish with torn basil leaves and serve.